The effects of the ongoing U.S.-China trade war on American farmers has been well-documented, and one expert asserts that the scope goes beyond that. Wes Peterson, a professor of agricultural economics at the University of Nebraska-Lincoln, emphasized the global impact of the trade war. Peterson explained that there are two main effects of the tariffs on China. The first is that it raises the prices for consumers. The second is that is “depresses the price” for foreigners selling into the U.S. 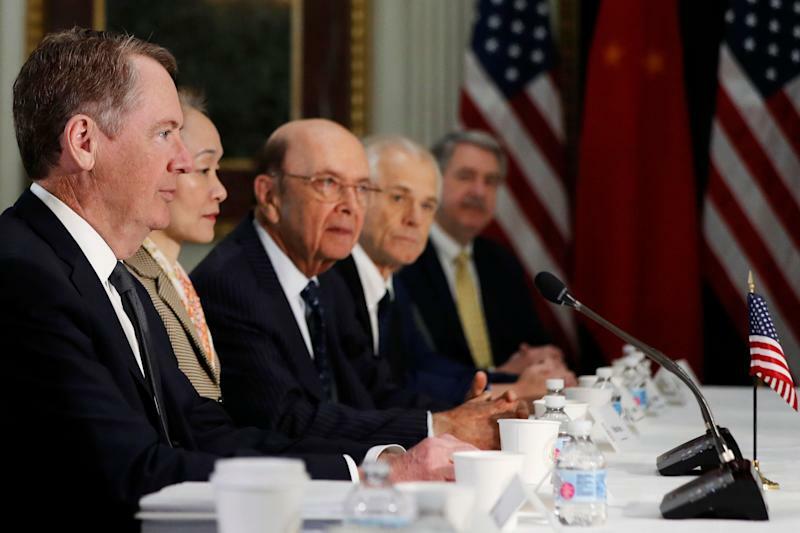 The trade tensions between the U.S. and China began in March 2018, when the U.S. imposed a 25% tariff on all steel imports and a 10% tariff on aluminum imports. China retaliated by slapping tariffs on products ranging from pork to fruit and aluminum. One day later, the U.S. announced 25% tariffs on roughly 1,300 Chinese products, worth $50 billion. China, in turn, imposed 25% tariffs on more products, including soybeans. 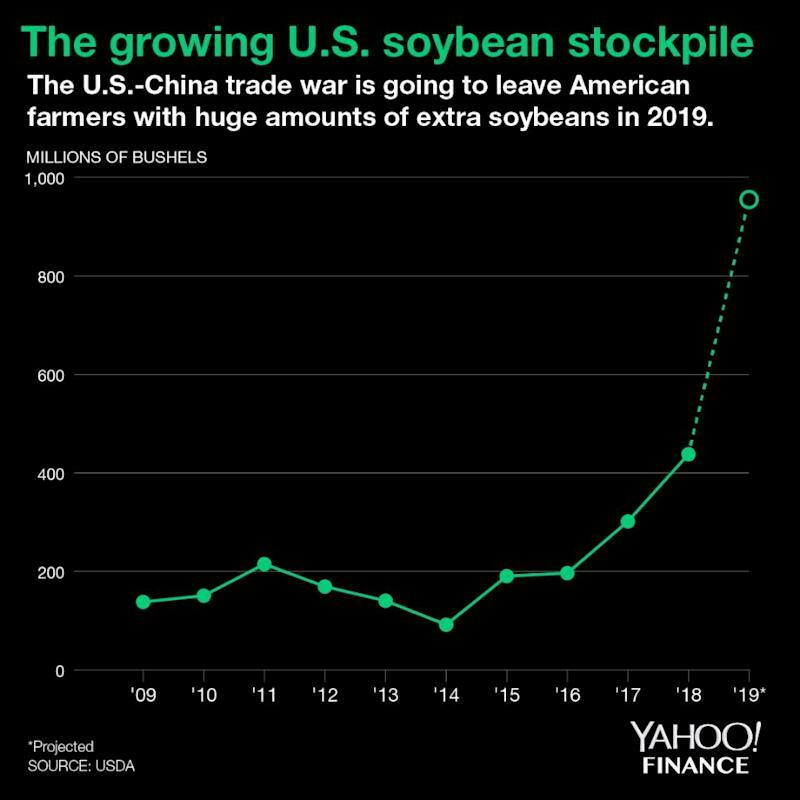 Soybean farmers were among those hit the hardest by the tariffs, as U.S. soybean exports to China were down 98% in 2018. The Trump administration has doled out financial aid to farmers totaling $7.7 billion. The back-and-forth would continue, until the two countries agreed to a temporary truce in December 2018 at the G20 Summit in Argentina. 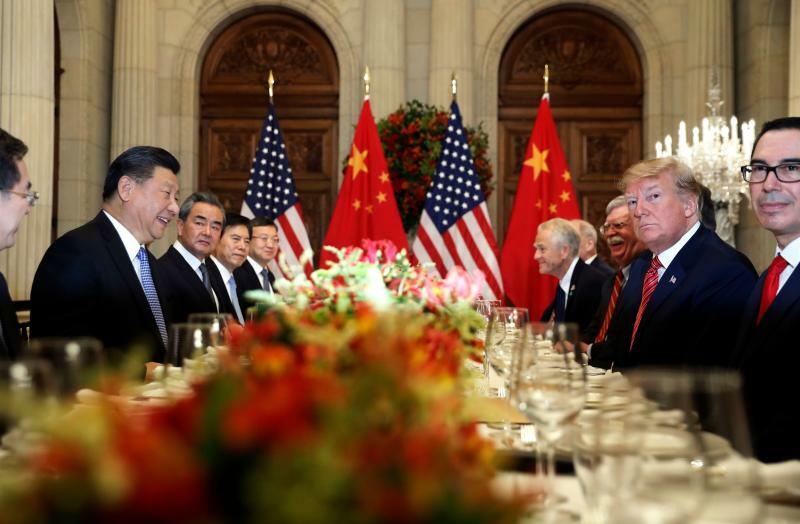 A March 1 deadline was set for a deal, the deadline passed, and now a summit between President Trump and Chinese President Xi Jinping is delayed until at least April. 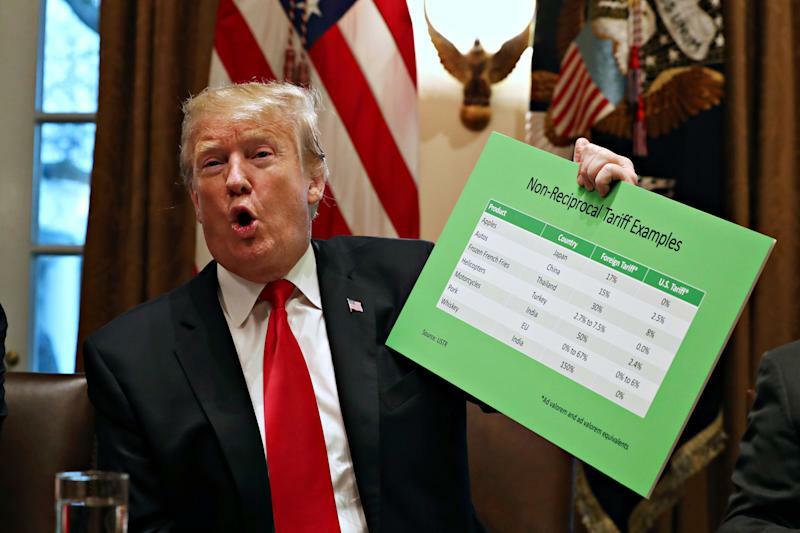 Putting a specific number of how the tariffs have affected consumers financially is a bit trickier though, he admitted. 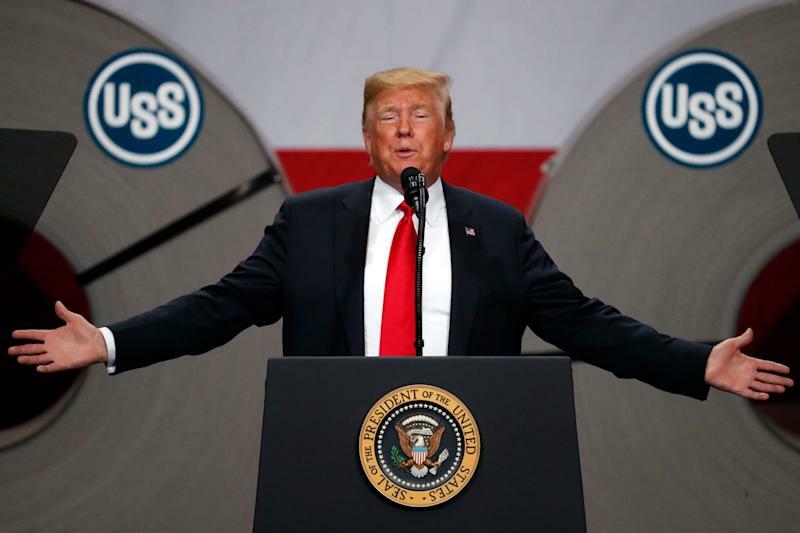 One study found that “Trump tariffs cost American consumers and producers $68.8 billion per year in higher costs and lost output, with the tariffs paid entirely by Americans.” A different study concluded that the tariffs have generated nearly $3 billion per month in new taxes. “At some point in the future, people will be in a situation and they’re not going to say, ‘Woe is me, it’s because of the trade war,’” Peterson said. “Their incomes may have gone up, they may not have gone up as much as they would have gone up if you hadn’t had the trade war, but you can’t know that. It’s a very difficult think to make a case that the trade war’s going to be very costly, although I think it will be. Peterson referenced the Smoot-Hawley Tariff Act of 1930, which increased import duties by 50%. It was intended to protect American farmers, who were dealing with increased competition, overproduction, and declining prices. With the Chinese showing good faith by buying U.S. soybeans, Peterson does think there is a chance for there to be a full recovery for both consumers and producers in this trade war. At the same, though, the damage may have already been done. Soybeans are a stark example. Chinese importers, who began purchasing soybeans from Brazil at the height of the trade war, could permanently choose to take their business elsewhere.